While your students may not be writing bestsellers anytime soon, this may still interest some of your more literary students. HipType compile this data on the content, genre, and readers of books, and may just have created a formula (or at least a starting point), for a successful book. Of course in my opinion the best books are the classics written by those who loved writing and who didn’t set out to write a bestseller, but to each his own. According to this infographic, the average bestseller is 375 pages, with a female protagonist. The genre is literature and cost $3.99. An average of 30% of people will stop reading a book by page 50, so it is important to snag them by this point, and those over the age of 40 are more likely to read the longer books and spend more time reading in a single session. What do your students think about this information? What has changed in recent decades to make shorter books more prominent among recent generations (possibly video games). What can writers do to make sure someone sticks with a book beyond page 50? What makes your students stick with a book beyond page 50? Would your students be more likely to read more with an ereader? Or do they like holding a book in their hands? Ignite Social Media does a report on social media networks every year, and based on the 2012 research, this infographic was created. This infographic is a great example of a well laid out infographic. Using various font sizes and font colors, it categorizes the various information shared. 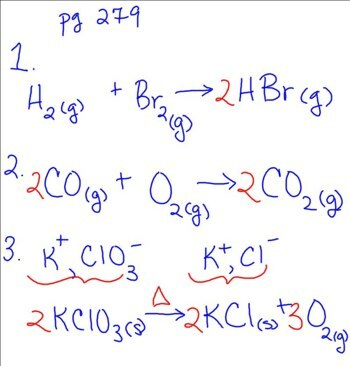 It also shares a wide variety of information and by doing this, it doesn’t jumble the information up. Suggest to your students that when they are creating an infographic, organize the information in just a few categories (three is the best), with just a few (once again three is the best, but maybe four or five) sub categories. This infographic does a great job of comparing various demographics and their social media use. According to this infographic, men and women use social networks equally, but women use Pinterest most, while men us Dribbble. It also shares what sites are used by those under the age of 10, over the age of 65, those who make over $150,000, and those with a graduate degree. It then continues by sharing the current rising and falling trends of various social media sites. Ask your students to do research on the social media sites, and try to figure out why some are doing well and some aren’t. For instance, what makes Pinterest so wonderful? Why is Facebook still thriving and Myspace and Friendster failing? How much do they think is the novelty and the use of the various sites, and how much is it just trends? With this infographic, give your students a blast from the past with the history and lifespan of storage media. Now, people are able to store everything online via “the cloud,” but this was not always the case. Throughout history, there have been different innovations in storage media that had different levels of reliability, and were different sizes. Try to get examples of each of the different types and ask students if they know what each were called and if they have ever seen them. Compare the sizes of each, and the reliability of them. Study the development of them, and share with students your own experiences with them. Hopefully your students will feel lucky to have the almighty cloud. Here’s a pretty interesting video about the skill of communication. Through the studies of other animals, we are able to learn things about the way we as humans developed this skill. 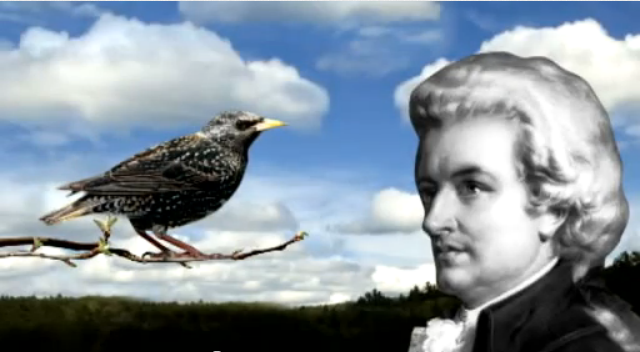 We also learn how bird songs have inspired great musicians throughout history. It seems that there’s a little bit of us in everything, or I guess it’s the other way around. This is a rather intense infographic, but it would be a good way to start a discussion on the topic of life on other planets. With the landing of Curiosity on Mars and it’s success thus far, I think it’s an interesting topic to discuss. This infographic uses an advanced math problem to decide the chances of, and how many alien civilizations exist. But of course, this can only be proved by further exploration. It will be interesting what will be discovered on Mars, to see if life has existed on Mars, and the conditions that may allow for human colonizations. Use this infographic to introduce Curiosity and the Mars exploration. What has been discovered? What does Mars look like? Based on discoveries, do your students believe we are alone? 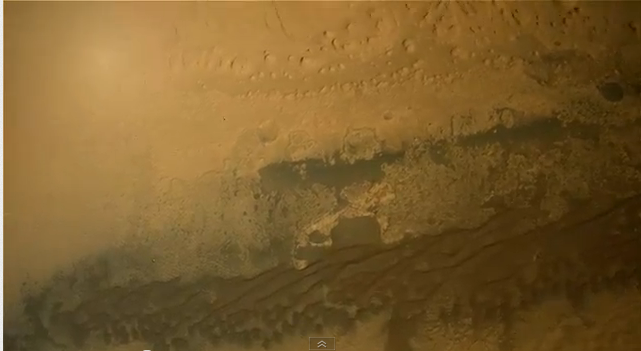 Interpolated footage of Curiosity’s descent. This is some very unique footage right here because not all of it is real. If you were to look at the original footage here, you can see that it is a lot choppier and hard to focus on. Well thanks to someone painstakingly recreating frames of video that didn’t exist, we can see the descent on Mars like we’ve never seen it before. Here is another infographic to make students think, and hopefully be grateful for what they have. This infographic compares students (specifically college, but many things are applicable to grade school students) between different time eras, and even makes some projections. It talks mostly about access to and use of technology, but it also makes some references to other areas. This would be a great first day discussion about the use of laptops and tablets in the classroom versus the traditional pen and paper and textbook. Ask students what they prefer and why, mentioning that there are applications available that will allow the teacher to peak in on what they are doing, so no doing anything off topic. Share with students the benefits of each. Discuss the reasons why these have been brought into the classroom. At this point, hopefully introduce a classroom set of some sort of technology. Unfortunately this is not always possible, but at least tie in the available technology in the classroom and the school. Most classroom have at least a few desk top computers for student use. Go over the rules for their use and other important information, including safety. A Walk Down Memory Lane and a Big Thanks! This is such an incredible opportunity for us to be able to learn and connect virtually wherever we are! 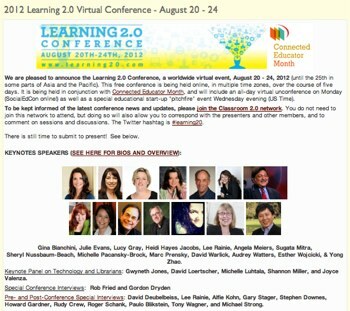 Since I assembled my talk, “The Memory Lane of a 30-Year Connected Teacher and Learner,” specifically for this event, I did not have any online handouts, and since I ended out taking exactly my allotted hour and leaving no time for questions, I thought I would take this opportunity to scan through the chat archive and respond here to any questions or comments that strike a nerve. First of all, this was not a “Here’s how you do this” sort of presentation nor did I tour through cool web sites or suggest cool ways to use iPads. There were and will be plenty of presentations that fill that niche. My uniqueness right now is my age and range of experiences, and so I reverted back to my Southern heritage and shared some stories “..about some of the critical and revelatory moments of (my) long career.” You can revisit my talk here, as Steve is archiving all (?) of the presentations. First of all, I was impressed by the number of learning20 hash-tagged (#learning20) postings on Twitter that were not in english. In fact, I see now that some of the names in my chat archive included letters that are not among the 26 character Roman alphabet – more evidence of the increasing globalization of education. One of the really cool things about these virtual events, and about being part of the backchannel at face-to-face events is when people share URLs related to what I am talking about – and often they are web pages, of which I was not aware. In a sense, the online handouts just happen. ..because learners are also teachers. One point I’d like to double-click on is the WIRED magazine issue I’m reading on my iPad, the magazine’s first issue, published in 1993, and now available for the WIRED iPad app. I love scanning through these old magazines because of the advertisements, seeing the sorts of technologies that were emerging 20 years ago, how big they were, and how much they cost. There was a Sony GPS that gave you the coordinates of you current location at a cost of only $1,195 (USD). 20 years ago, that was fantastic. Imagine being able to know, at any time, your exact location in relation to the Equator and Prime Meridian. Fantastic! Yet, I just bought a Garmin app for my iPhone that operates exactly like the Garmin GPS that I drive with, and it only cost 99¢. We are preparing our children for THE FANTASTIC. Do we truly grok the implications of this? In contrast, someone mentioned the current tech-du-jour, Arduino and Raspberry Pi – off-the-shelf computer circuit boards that people (“makers”) are using to create all sorts of intelligent objects. This is something I want to learn about and play with. Someone recommended the Raspberry Pi. Another participant asked about the old computer magazines that featured BASIC programs that you could type into your Atari or VIC-20. “Compute!” was one of them and it was published out of Greensboro, North Carolina. Orson Scott Card worked for them at the time – and some of you know him as the author of “Ender’s Game,” one of the best science fiction books ever written. During several of my stories, which involved teachers and learners connecting to the real world, there was some conversation about teachers who are reluctant to allow their students to share their work outside of their classrooms. I believe that it comes from a lack of confidence, and this is not wholly our fault. It’s part of what I talked about at the end, how the empowerment that comes from “connected” teachers and learners has to come from somewhere, and that somewhere is the various social, political, and commercial interests who have traditionally enjoyed and employed that power – and have a need to exert more. I believe that causing communities to lose confidence in public education has been an explicit part of the school privatization movement that may well have begun with No Child Left Behind. Someone commented, “Why can’t we have developers of apps working in our schools with our students on projects they are working on?” I think this is a fabulous idea, and I remember reading about a school in New York that hires game developers to work with teachers and learners. That has always seemed a brilliant thing to do. But I wonder if this “developer” needs to be an adult, or if it could be one of, or a team of students. Again, I thoroughly enjoyed presenting to the conference, from my home office, and am actually getting accustomed to teaching to that little green light at the top of my laptop display that marks the position of the camera. 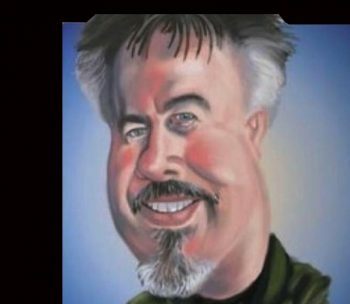 I also want to take this opportunity to thank Steve Hargadon for this and all of the “connections” that he creates and facilitates for educators around the world. All the wires and cables that circle our globe come to nothing if there is not a community of interest, and that community doesn’t happen without an architect. Thanks to Steve Hargadon for bringing us all together so many days of the year! Author David WarlickPosted on August 22, 2012 August 24, 2012 Categories conferences, education, learning, library, teachingTags conference, education, learning, learning20, teaching, virtual worlds1 Comment on A Walk Down Memory Lane and a Big Thanks!